If you are looking for a bold display of long-lasting, spring flowering plants then you will be hard pressed to beat the very best that the hellebore breeders have to offer. Arguably one of the most impressive is Helleborus 'Penny's Pink', a stunning hybrid developed by Rodney Davy and Lynda Windsor at R D Plants in Devon. Not only is it noted for an abundance of blooms which occur from late February onwards it also has extremely ornamental, as well as architectural, marbled foliage. It is a hardy, clump forming perennial that can reach a height of approximately 24 inches and a spread of around 30 inches. The evergreen leaves are 5 or 6 lobed and leathery in texture and up to 12 inches wide. Interestingly they are blue-green flushed pink when they newly emerge, turning to a mid-green, less marbled colouration once they mature. The 3 inch wide, single, cup-shaped blooms emerge bright, mauve-pink on stems a good 3-4 inches above the foliage, however the colour will change to a deeper pink as they will mature. The flowers are extremely long lasting, albeit sterile, and can remain on the stems for up to three months turning darker as time goes on. 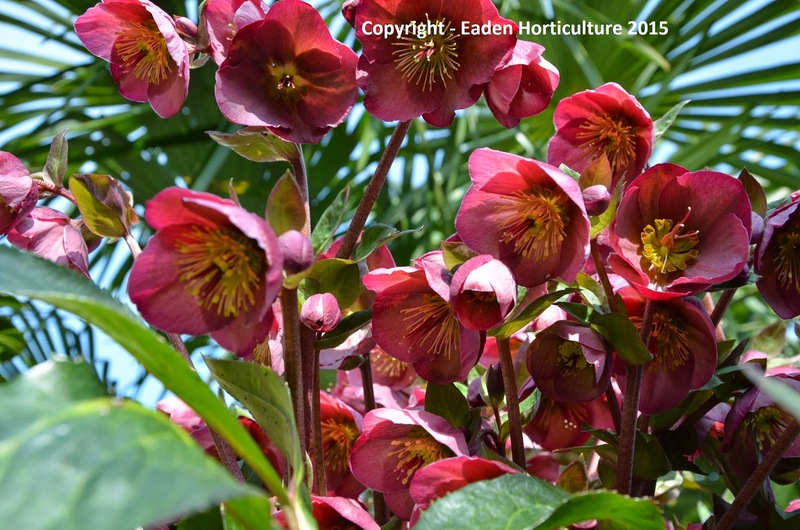 Helleborus 'Penny's Pink' will perform best in a position of partial shade in a deep, moist yet well-drained garden soil, although it is also tolerant of fully shaded positions. Once planted the root system should not be disturbed as this can significantly reduce the amount of flowers produced the following season. Trim the old leaves to the ground in late winter before the buds emerge, as this will allow the flowers to create their maximum impact.